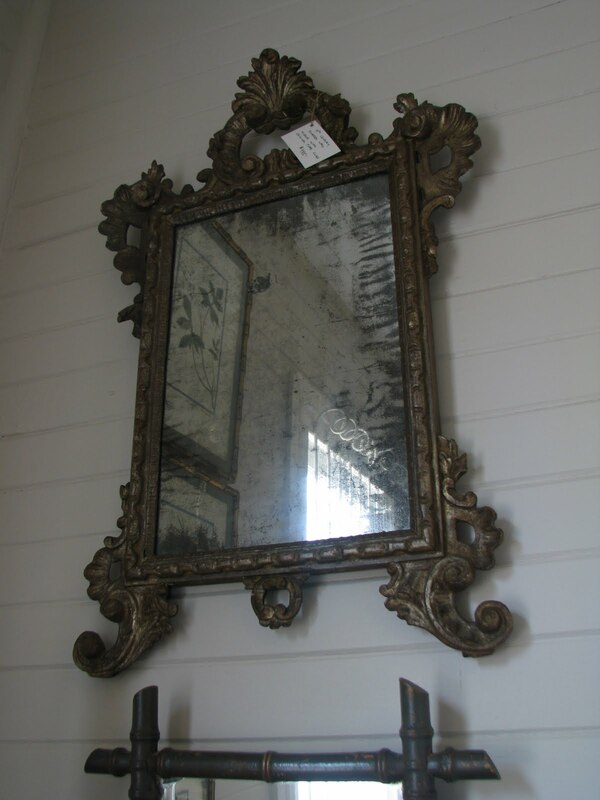 This fabulous Venetian mirror dates to the early 20th century. It is wonderfully aged and has a great shape. It would look fine indeed in a bathroom. 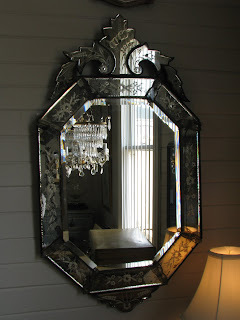 I have an old mirror already to put up in my bathroom (if my bathroom is ever completed!). If I didn't have one, I would be grabbing this mirror for sure. Very classic. This mirror I can see propped against a wall in a dressing room or bedroom. It would also suit a bridal gallery or similar boutique. It has the age related mottling of the glass that I mentioned in my previous post. This mirror has the best look of all. You wouldn't want to use it to see yourself too clearly though. It is purely for decorative appeal. The frame is an old silvery colour, which makes a nice change from gilt. 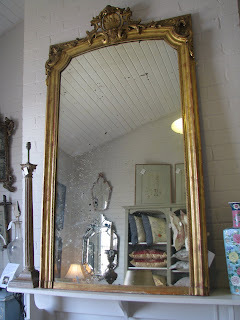 This is one of my favourite mirrors that we have had the pleasure of displaying in store (not for long though!). 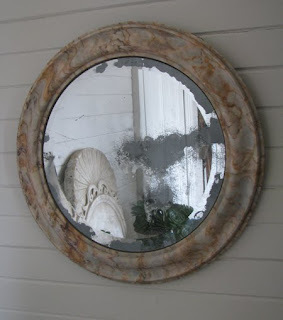 It sold so quickly because of the marble frame, it really made it a different mirror. 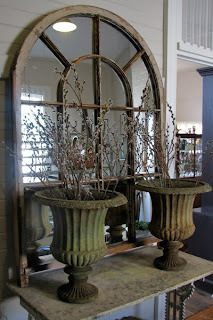 And speaking of different, these mirrors made from Victorian arched window frames are wonderful. We have had a few of these in the last year or two. We have sold out at the moment but plan to find some more on our next buying trip. These could go outside on a courtyard wall. I love, love, love your mirrors! Have a good weekend.